They’re here, sitting in my greenhouse, gently sprouting. But they know something up, because I go in there every day, to check on progress! Their big day is coming up soon, the day they (along with lettuces, onions, garlic and most brassicas) are planted in the garden. But not yet, little fellows, first the ground must be prepared for you, so you will have a nice home for a few months. Then, come June, it will be time for me to get really excited, as it will be time to dig the harvest, ready for winter! Friends, if you like to grow vegetables, but think growing prosaic items such as potatoes just isn’t worth it, think again. Once you’ve tasted the depth of flavour in home-grown, you’ll never go back. Categories: Crops, Daily life, Gardening, Pontificating | Tags: agriculture, gardening | Permalink. Of course, much of this year has been taken up by cancer treatment, and that time seemed to pass in a haze. With autumn comes our autumnal chores. We pick the last of our summer veg, and are already nostalgic at the upcoming loss of that fresh tomato on our morning toast. We start winterising the house, making sure the summer furniture is put away, the water proofing is done, potential leaky points scrutinised. We start thinking about cutting firewood, even! We’ll be collecting firewood soon! Then comes the olive harvest! We have been inspecting trees this week, to see what the harvest will be like, given a bit of luck and no wind storms! 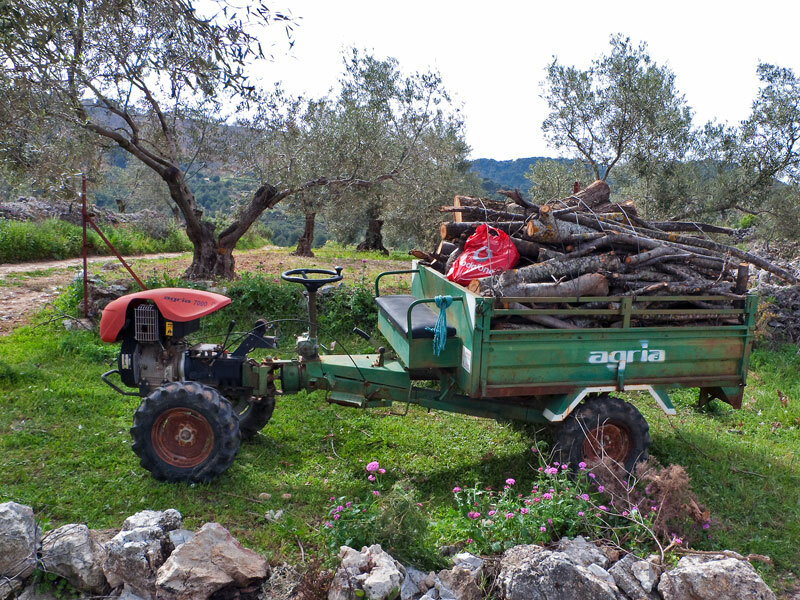 Categories: Crops, Daily life, Forestry work, Gardening | Tags: agriculture, Andalucia, Casa Tyr | Permalink. As we have been doing all summer, this morning we got up early to go down the garden. I hasten to point out that this is not the norm for me, to do anything bc (before coffee). This routine has been a necessary part of our summer. All through July, we had such an incredible heat wave, that we couldn’t contemplate doing the work in the early evening, as is our norm. It didn’t cool off until around 10pm, and somehow gardening just as you’re ready to sit down and relax really did not compute. So down the garden we would go, first thing – getting back to the house around 10am for breakfast. The dogs also like this routine, as it is still cool enough for them to run around and have fun. And steal tomatoes. So, why am I unexpectedly grateful, you ask? It’s the garden itself. Full of healthy, deep green plants, producing an abundance of tomatoes, cucumbers, corn, 2 kinds of peppers, hot peppers, 2 kinds of melon, and 3 types of squash. The bounty will keep us going all winter long. In fact, we think this is one of our best gardens in years. I consider our garden a minor miracle this year – it was planted when I was in the middle of chemo, dizzy and stumbling around with numb feet. But plant we did, and I’m so grateful that it has worked out so well – by dint of our hard work and a little luck! Categories: Crops, Daily life, Gardening | Tags: agriculture, Boxer dogs, Butternut squash, chemotherapy, Cucumber, vegetable garden | Permalink. We are in the middle of our summer garden season! I love it, as all our hard work is finally being rewarded. It is truly a lot of work – once a week treating with neem (a natural oil to keep the dreaded ‘hongo’ and pests at bay), feeding, weeding and watering. Then another day watering. All told, this must take us 8 hours of work per week, if we’re lucky! This summer has been so hot that we get up early and go down to garden before breakfast. (yes, you heard it here first, I voluntarily garden before coffee!!!) We used to do this in the evening, but with this heat, we found we couldn’t work until about 9 at night, and who wants to do that!? Also, going down early (before 8am) means that the garden is cool enough for us to work comfortably, and for the dogs to have a nice run around. Anyway, back to the vegetables and fruit! We are eating loads of cucumbers, peppers and aubergines (aka eggplant) every day. Our tomato glut is nearly here, too, so it will be tomatoes morning, noon and night! 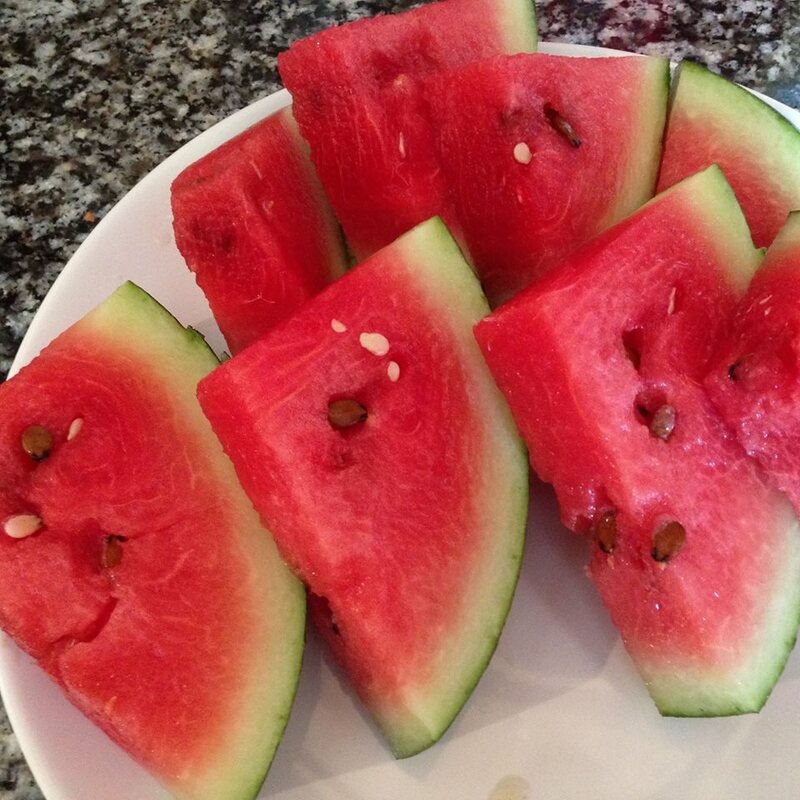 We had our first watermelon yesterday, and it was truly delicious! In Yunquera, the larger the vegetable, the more prestige it has. I’m not sure why this is, but it means that if you are ever given vegetables, they are huge! Our friends in the village don’t have a garden, so they are inundated with giant aubergines and humungous courgettes. All well and good, but in my opinion, these giant vegetables often have a lot less flavour. My friend always loves to be given vegetables, of course, but with only the 2 of them, it takes days to eat just one giant courgette – so how can she cope with a bag full of the beasts? We buck the trend here at Casa Tyr. We pick our cucumbers and aubergines when they are small and sweet. They are small enough for the two of us to eat in a reasonable amount of time, too! We also pick and eat our small, new potatoes – true heresy here, where the small potatoes are only judged suitable for mule food! Categories: Crops, Daily life, Gardening, Kinda dull stuff | Tags: agriculture, Casa Tyr, Cooking | Permalink. 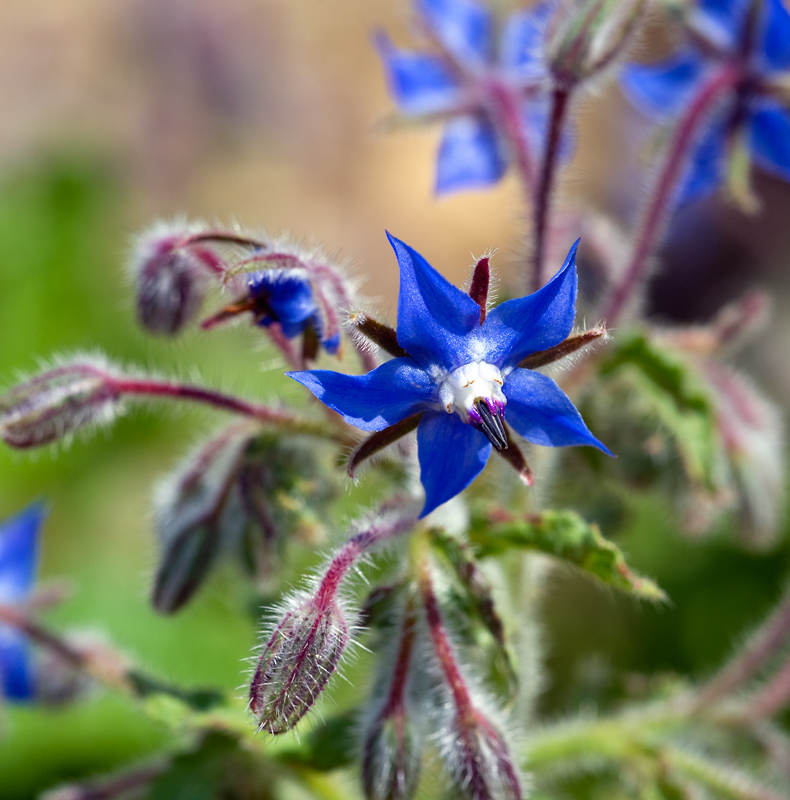 Weeds are the bane of our lives, all year, but especially during our summer gardening time. We have a routine. Every week, we go down to the garden to weed, feed, neem, water, and harvest. (Neem is a natural product that we use for pest control – it works miracles!) This process takes the two of us about 2 hours, but if you don’t stay on top of it, it only gets worse! Why do weeds grow so much better than plants you actually want? But they do, don’t they?? You don’t need to feed them, or water them, but there they are, crowding your lovely tomatoes, winding around the little pepper plants, choking out the onions. It is a daunting task to get out of the Defender and see the rows upon rows of weeds that you just know will give you a backache to pull! It reminds me of when I was a child, and my mother sent me out to weed the back garden. Me, being the clever little sod that I was, thought it would be faster just to cut them off – who would ever know? If you are going to do a task, do it right the first time, and you won’t have to do it again. Except when it comes to weeds, of course, which is never-ending task! Categories: Crops, Daily life, Gardening | Tags: agriculture, gardening, vegetable garden, weeding | Permalink. It’s the time of year when our little minds turn into vegetables. No, that’s not right! Our minds don’t turn into vegetables, they turn to vegetables! Argh! What am I trying to say? That’s right. What I actually mean is, it’s planting time! We planted our potatoes, onions, garlic and lettuce about a month ago. They are going great guns, as are the weeds that threaten to take over the world! A day of weeding is in our very near future, not my favourite thing! 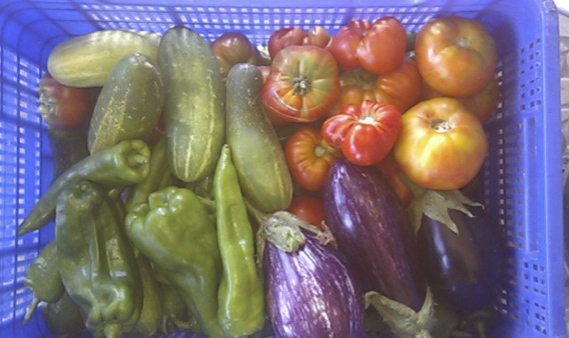 Looking forward to summer harvests! Last week, we planted our squash (three varieties), tomatoes (four varieties), cucumbers, peppers (three varieties), aubergines and melons (two varieties). Soon to come is the planting of sweet corn and okra – should have been done already, but between trips to the hospital (chemo, other tests) and the dentist, I feel we are doing very well to get as much done as we have. It’s very hard this year to motivate myself to do the work (Kenton feels the same, I’m sure), but it’s such a key part of our life here that I can’t imagine not having a big garden, no matter how exhausted I feel all the time! Come July, when we are picking our first tomatoes, I know it will have been worth the effort. I think it’s going to be a hard growing year. We have had loads of misty evenings, which wreak havoc on the potatoes and tomatoes, as well as anything other vegetable or fruit that suffers from mildew or blight. 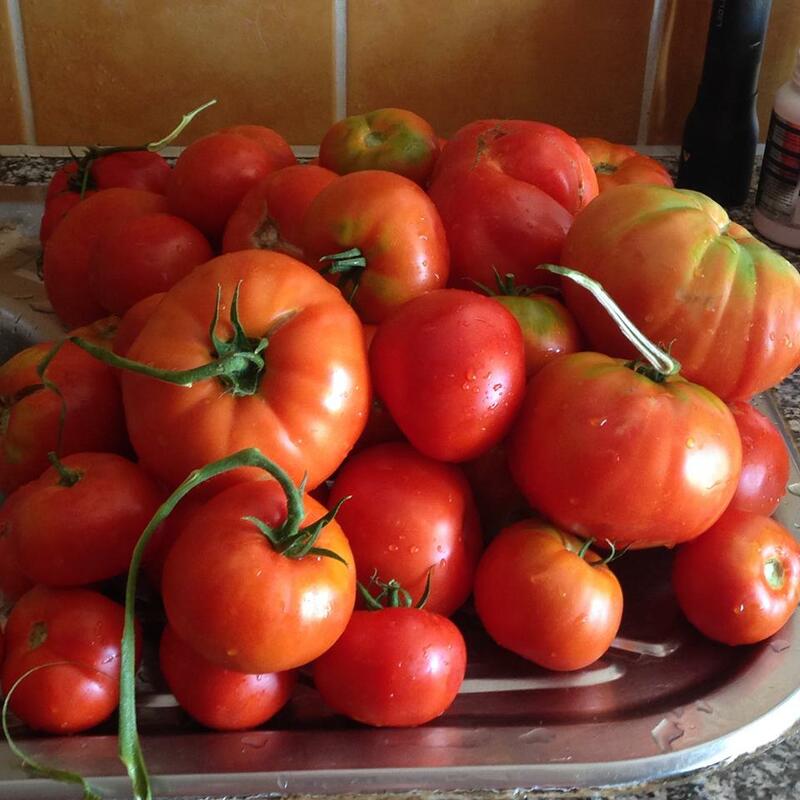 It is sometimes hard to stick to our ‘no toxic sprays’ mantra, but at least that means we are always able to pick a tomato straight from the vine and eat it! Not all our neighbours can say that! Categories: Crops, Daily life, Gardening, Pontificating | Tags: agriculture, vegetable garden | Permalink.